Personalise your Dower and Hall Cherish locket with this Sterling Silver baby foot treasure and keep your family close by. 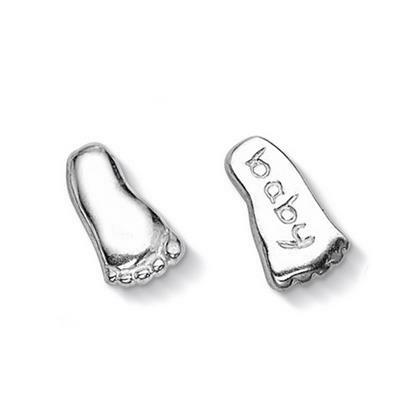 The cute foot is engraved with 'baby' on one side and delicately carved toes on the other side. The collectable treasures capture your most precious moments and create a personal accessory that can be cherished for years to come. This loveable charm is 12mm in size and fits all the cherish lockets.